Click the image above to visit the Hamilton Tiger-Cats website! Happy Fall! As we transition into this colder weather, I am spending more time inside, which inevitably leads to browsing on my smart phone. If you can relate, this is a time when we are all reading up on news articles, surfing the internet and checking our social media feeds through mobile applications while bundled up on the sofa. In order to effectively reach us, sports teams left and right are introducing mobile apps to capitalize on this convenient interaction and engagement opportunity with fans. This week, we put a spotlight on the Hamilton Tiger-Cats, a Canadian football team that took their fan mobile app to the next level. When passionate fans cheer teams on through their toughest matches, they undoubtedly give them extra motivation to perform at their highest level. Realizing that a strong fan base is crucial for success, the Hamilton Tiger-Cats of the Canadian Football League made a push to reward the very back-bone of their own; their season ticket holders. Half-way through their 2014 season the Tiger-Cats made an exciting move from their old stadium into the brand-new Tim Hortons Field. What better way to delight their loyal fans than to roll out a brand-new fan engagement platform at the same time they transitioned into this new facility? The Tiger-Cats’ “Ticats All Access Fan Loyalty Platform” 2015 launch was timed perfectly as fans came out to both support them in their new stadium and to enroll in the program. 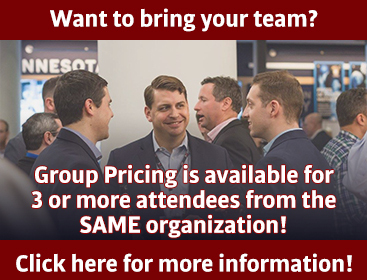 During this transition, free preseason game tickets were distributed to existing season ticket holders, which created opportunity to grow enrollment in the All Access Platform and get more fans in the stands. 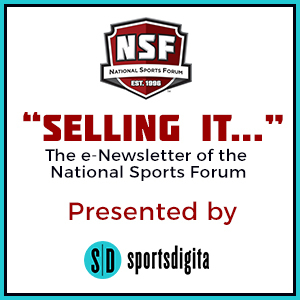 The hopes for this platform were that it would collect valuable consumer information to effectively engage them, strengthen fan-to-team relationships, make content/promotions more easily accessible, and of course increase revenue. These goals could be achieved by effectively capitalizing on the way to reach and engage fans in the lead-up to game day and in the stands at Tim Hortons Field directly-via their smartphones. 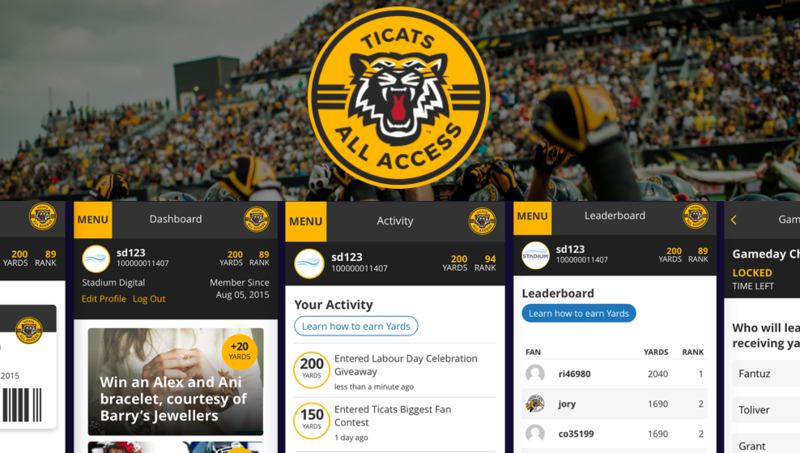 “Ticats All-Access” is a loyalty and rewards program available through the mobile app or microsite. The program puts many powerful tools in a fan’s hands: game statistics, sponsor promotions, fantasy contests/challenges, and an all-in-one digital loyalty, reward and discount card. These valuable tools allow the Tiger-Cats to provide a direct line of engagement for fans before, during and after matches in a way that is convenient and specifically targeted to them. Fans are awarded points called “yards” for engaging in content or for purchases. This helps to set this platform apart from others as it cleverly ties the football field measurement into the promotion. These “yards” can then be collected and redeemed for special and offers prizes that are not available to the general public. Rewards can range all the way from autographed merchandise and pregame specials to meet and greets with Tiger-Cat players and coaches. One facet of the application that has increased fan interaction is the incentivized “Game Day Predictor Challenge.” If fans can successfully predict the outcome of a game before it begins, they have the opportunity to earn even more yards and win exclusive prizes. In addition to adding value to a fan’s game experience, “Ticats All-Access” allows the Tiger-Cats to gather first-party data about their fan base preferences and tendencies. Darcy Raymond, Vice President of Marketing and Communications for the Tiger-Cats states: “For me as a marketer, it helps me understand who our best fans are.” In this way, the team wants to stay knowledgeable about their fan base in order to better craft experiences for them. Exclusive interviews, a peak into football operations and “behind the scenes” information are just some of the topics that interest Tiger-Cats fans and are implemented in the “All-Access” program. 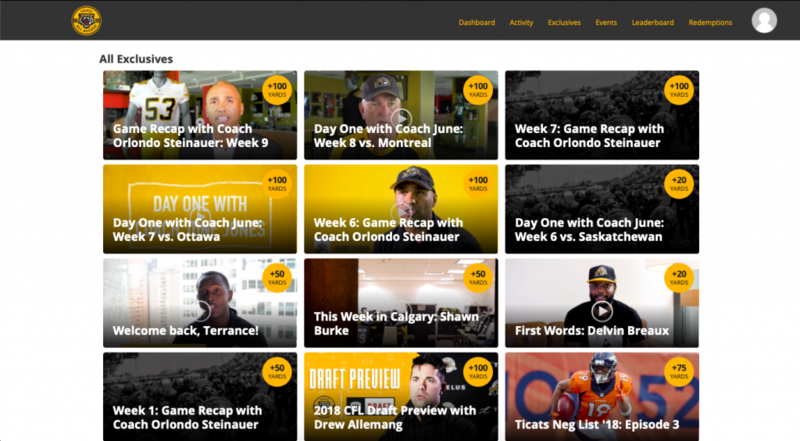 The Hamilton Tiger-Cats developed the “Ticats All-Access Platform” in 2015 with Stadium Digital who specializes in creating media and fan engagement products for sports properties. In 2018, Stadium Digital partnered with Smooth Commerce to create the impactful “Ticats All-Access” app for iOS and Android which has shown impressive results by enhancing fans’ game day experiences by introducing a digital loyalty, reward and discount card for retail and concessions at Tim Hortons Field. The current success of these partnerships is no surprise. In 2016, Stadium Digital’s partnership with the Tiger-Cats earned the CFL Rouge Award for marketing innovation. This followed the duo’s decision to make history by being the first Professional Football Team to stream their entire game using Facebook Live in North America. The All-Access Platform showed remarkable results. In fact, the complimentary pre-season tickets involved in the launch caused a 62 percent increase in incremental ticket revenue for the Tiger-Cats. Not only that, but the Ticats were the only team to sell out every single home game in their 2015 season, showing that their fan base is strong and engaged. This can be directly accredited to the fact that the Hamilton Tiger Cats are currently the only CFL team utilizing a digital loyalty app to connect with fans. Now currently in their fourth season with the “All-Access Platform,” the Tiger-Cat’s strategic objectives of strengthening fan relationships, making marketing promotions more readily available to fans and driving the bottom line are more than being met. With the Ticats All Access Program in its fourth season, the Hamilton Tiger Cats are continuing to provide value to their fans through its unique features. Following the conclusion of this season, the team has plans to continue innovating with the program by adding new and exciting features for the 2019 season! For more information contact Darcy Raymond, Hamilton Tiger-Cats Vice President of Marketing & Communications at draymond@ticats.ca. Budweiser is back for their 18th year with the NSF as they are the Official Sponsor of the “Budweiser Gala.” Anheuser-Busch, Inc., a diversified corporation, is the world’s largest brewer with 12 domestic breweries and distribution in more than 80 countries.